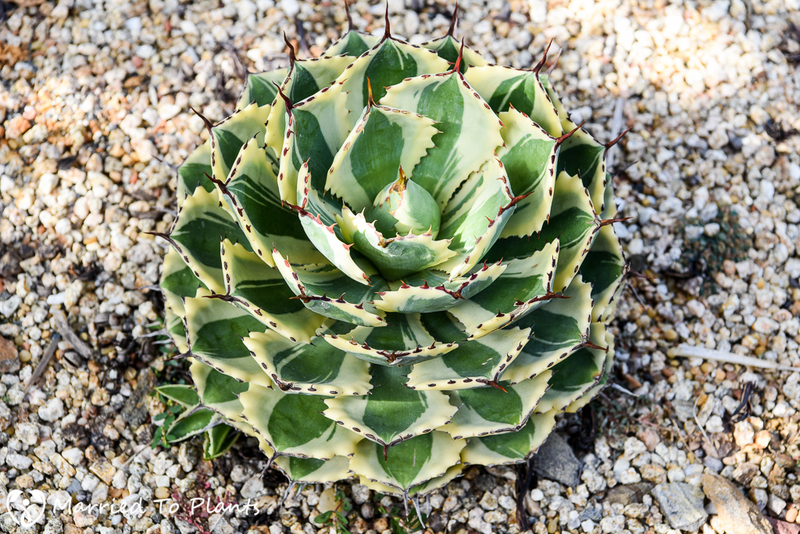 A few years ago when I started my blog I had no idea that the most popular post would end up being the post about my dwarf agaves. Readers have really gravitated to those posts. 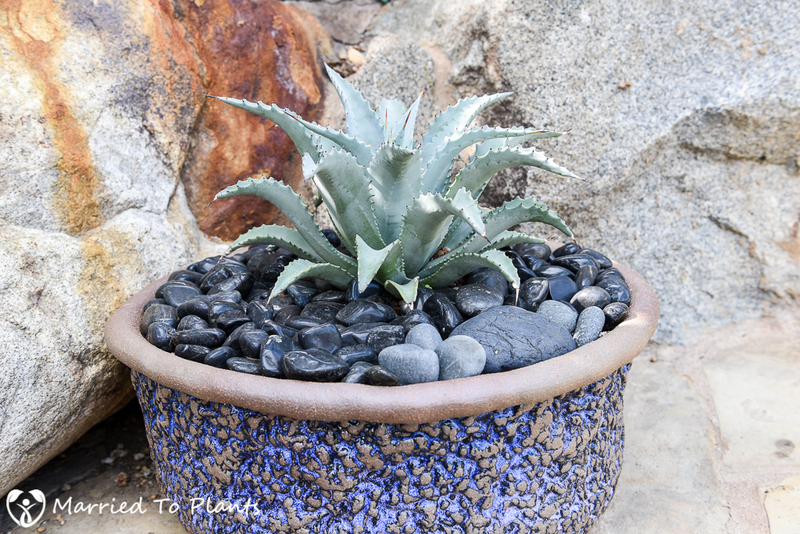 In fact, the most read page on my blog is the one on the work I did to my boutique agave planter bed. That post is rapidly approaching 1,000 visitors. Not bad for a post on a blog that I never advertise. 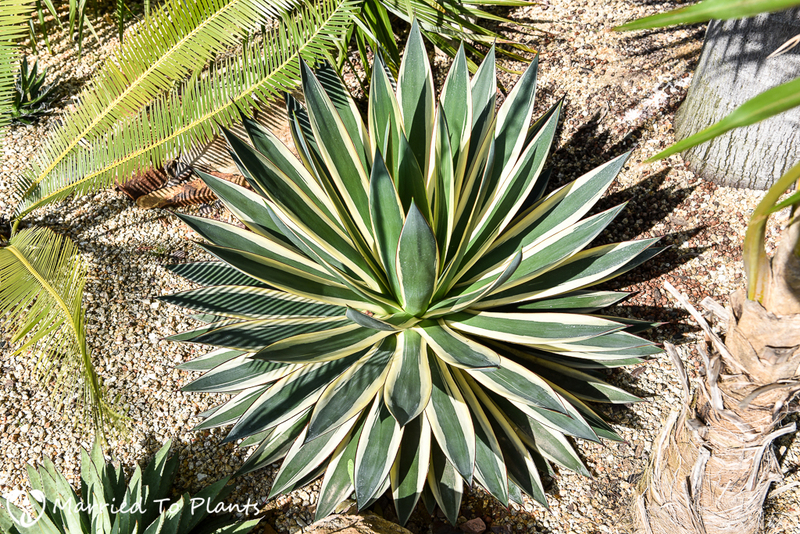 The third most read post was on my bird’s-eye view of selected agaves in my garden. It isn’t just readership of these post, but also engagement from them that shows people like them. 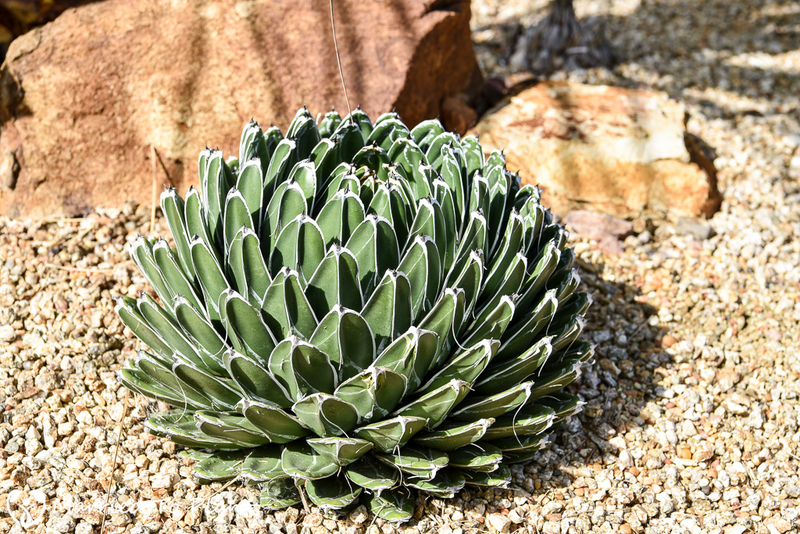 By far the most common request from readers is to show more agave-related content and to provide updates to the ones I already posted. When reviewing the web stats I see that most visitors come from areas outside an ideal agave-growing locale. Many of the places would require pot cultivation with winter protection. 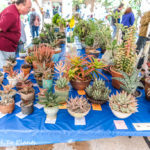 I have come to the conclusion these readers just want to see some of the many newer dwarf agaves that can be readily available in an agave-rich growing area like Southern California but hardly seen in their parts of the world. Looking to appease requests, and taking into account that I leave for Borneo on Saturday morning and needed a quick subject, today seemed like a good day for another agave post on Married to Plants. 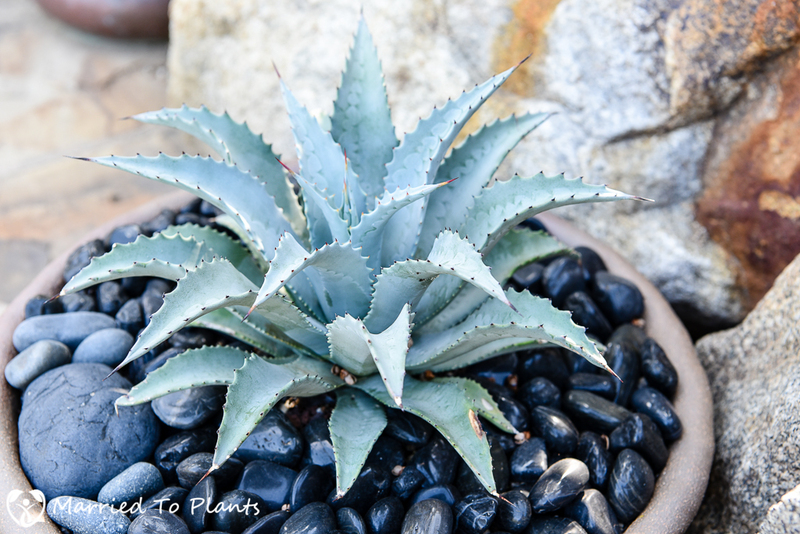 A typical June Gloom day here in North County San Diego afforded an opportunity to get some good shots of many of my dwarf agaves. Followers of my other agave posts will notice how fast some of these dwarf agaves have grown over the last two years. First up are a few of my newer additions that I have not shown before. 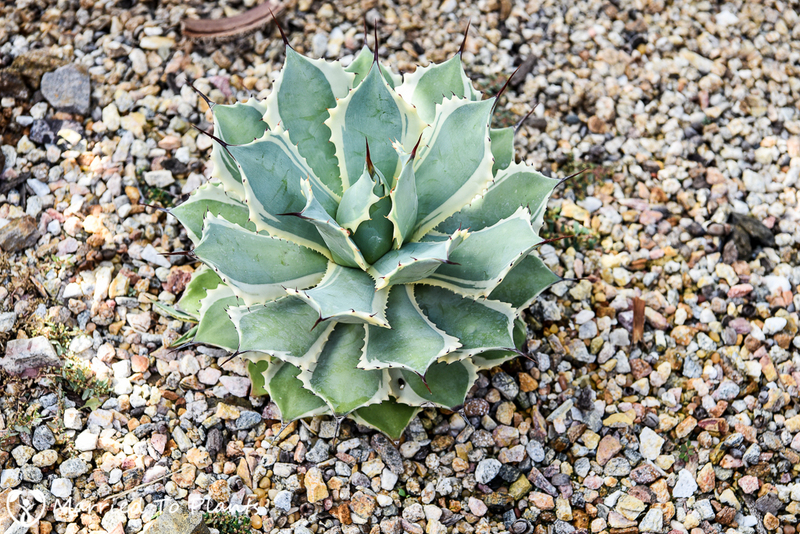 For me, the one with the most potential is this Agave bovicornuta ‘Variegated.’ Just a small plant now that is learning to grow outside in full sun, it has the chance to become the most impressive in my collection. 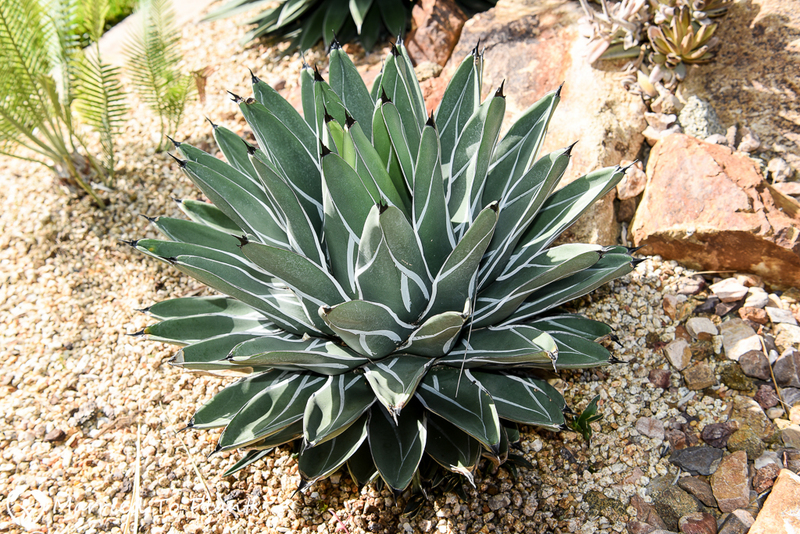 I have seen larger Agave bovicornuta variegates and they are all stunning. Another great new addition is this awesome hybrid crossed by Matt Maggio. 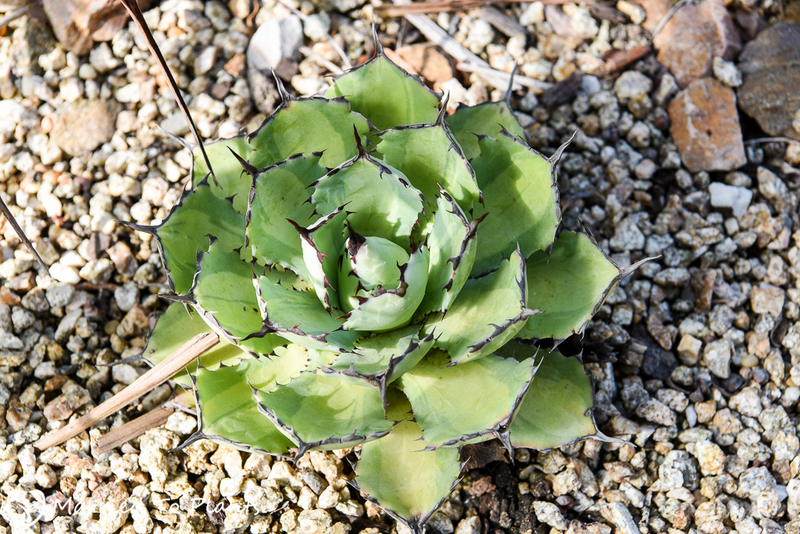 This is an Agave utahensis var nevadensis x Agave gypsophila. This hybrid picked up some of the best features of each parent plant and is turning out to be a real winner. I planted mine in a pot to slow growth. 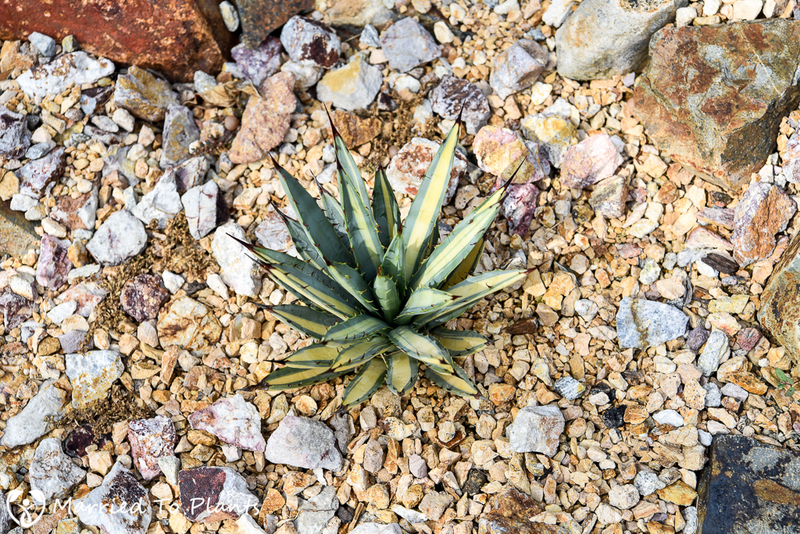 A third addition is this little Agave parryi var. truncata ‘Lime Streak.’ This is a tissue-cultured plant and all four that I own are agave mite magnets. This is a great example why I shy away from most variegated tissue-cultured stuff. Many times they are weak plants. Agave victoriae-reginae ‘Albomarginata’ is finally getting some size and starting to look like the beautiful plant it will grow into. Agave macroacantha ‘Blue Ribbon’ all cleaned up. A few days prior I had removed 15 pups from the base. 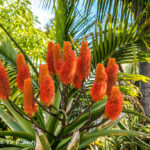 I love this plant as a single and not the spiky mess it can turn into if left unchecked. This Agave macroacantha ‘Hatsodan’ sectional is a slow grower. It is about the same age as the Agave macroacantha ‘Blue Ribbon’ shown above. I am still waiting for the first pups to appear. The ones coming off the more variegated side will be beautiful and what will eventually replace this plant in the garden. 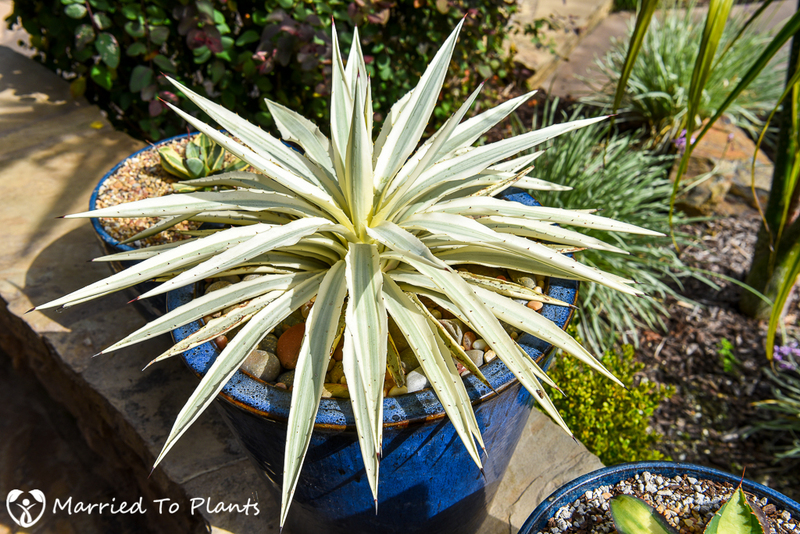 I am not a fan of Agave angustifolia but this Agave angustifolia ‘Milky White’ was too good to pass up. 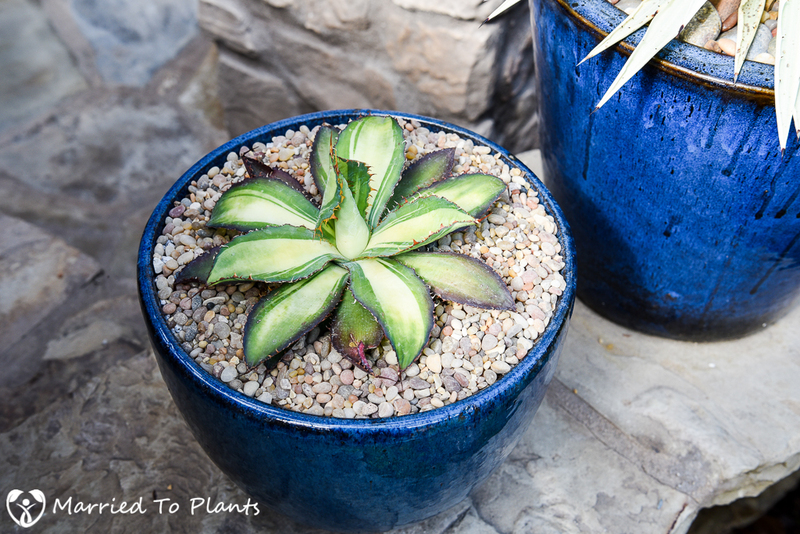 Thanks to the limited chlorophyl production due to heavy variegation and the pot it is in, this agave is a slow grower and can be enjoyed longer. 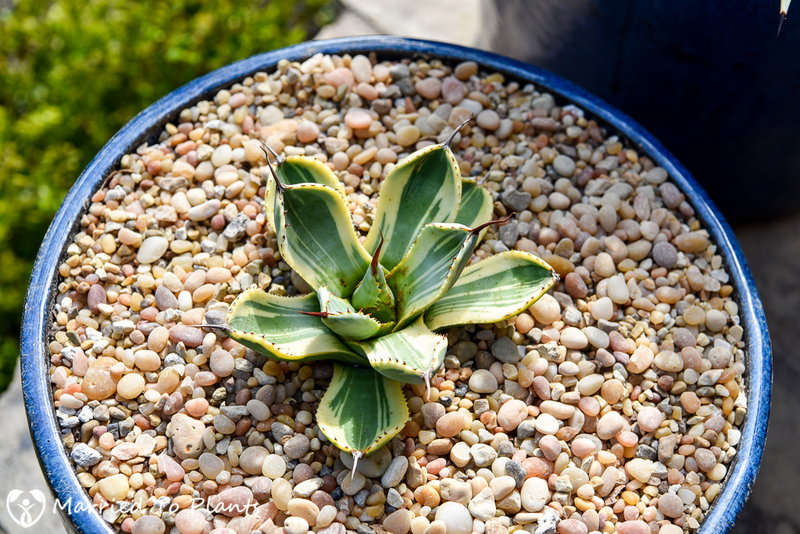 Agave pumila is starting to grow out of that chunky juvenile leaf stage and getting its adult leaves. Everything you read about this plant online says it is a slow grower. It is quick for me in the ground. 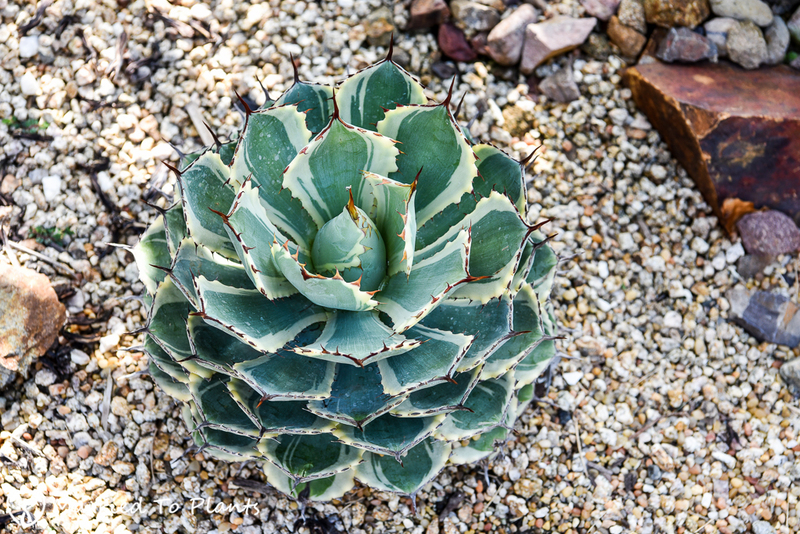 Common nowadays, but still one of my favorites – Agave nickelsiae. Agave potatorum ‘Desert Diamond’ is a much more attractive clone of Agave potatorum ‘Kissho Kan’ shown above. I just bought this Agave potatorum ‘Kissho Kan Nishiki’ a few months ago. I might have to move it, as the plant is not getting enough sun and the variegation isn’t as noticeable as it once was. Agave potatorum monstrosus cv. 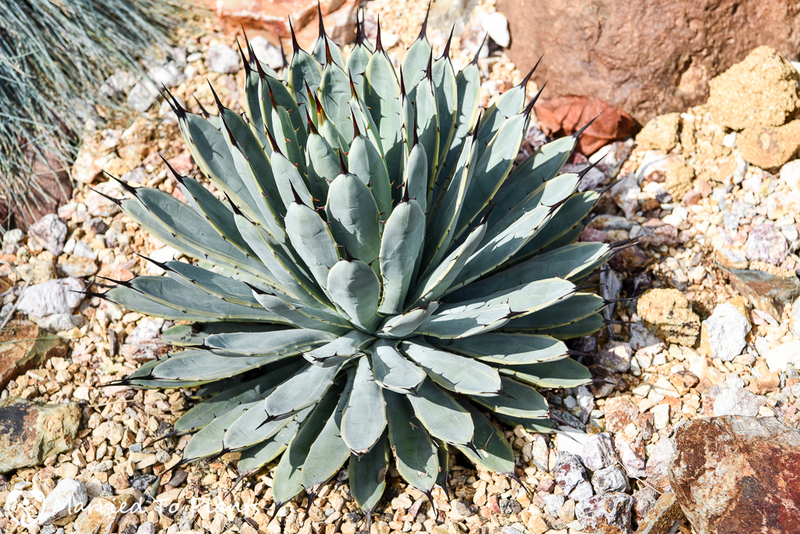 ‘Cubic’ is a unique agave. 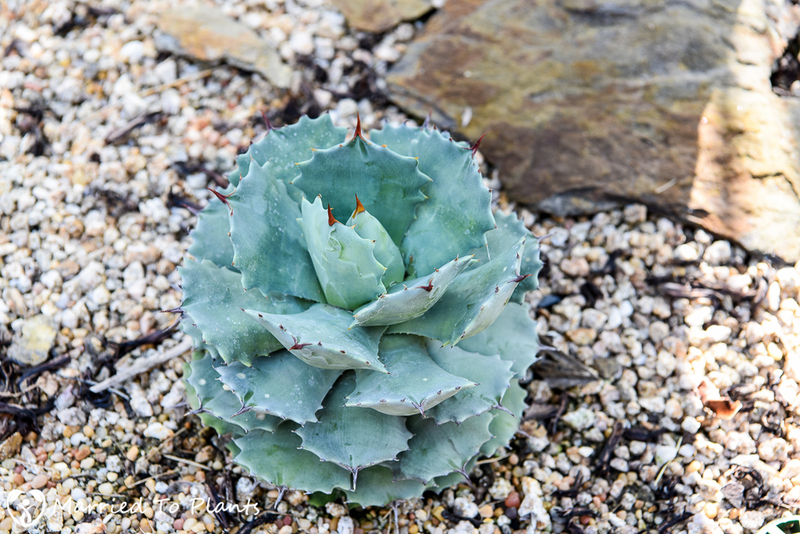 This agave is named for the ridges on the back of the leaves which give it a “cube”-like appearance. By the way, I love the pot it is planted in. However, only after planting it did it dawn on me that I won’t ever be able to get this plant out due to the shape of that pot. I am glad Agave potatorum ‘Cubic’ isn’t a super fast grower. This was purchased as Agave potatorum var. verschaffeltii but now that it is bigger I can clearly see it is not. 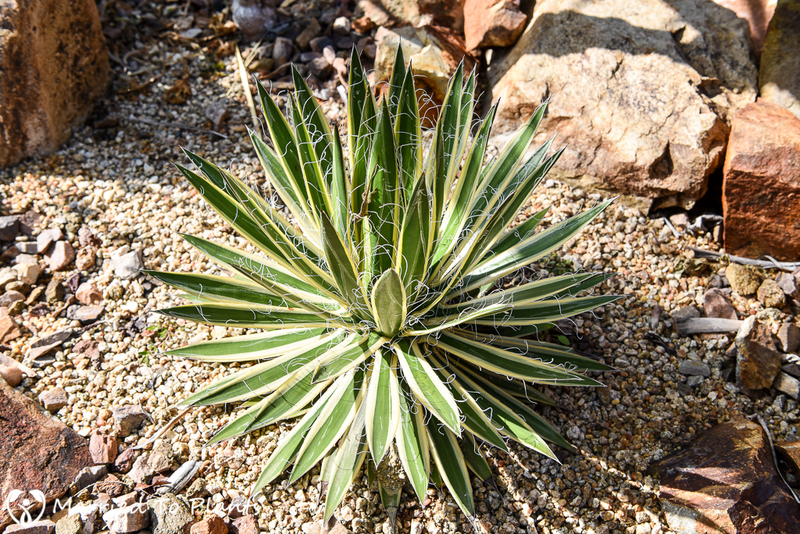 The short, stubby leaves make this an Agave isthmensis. 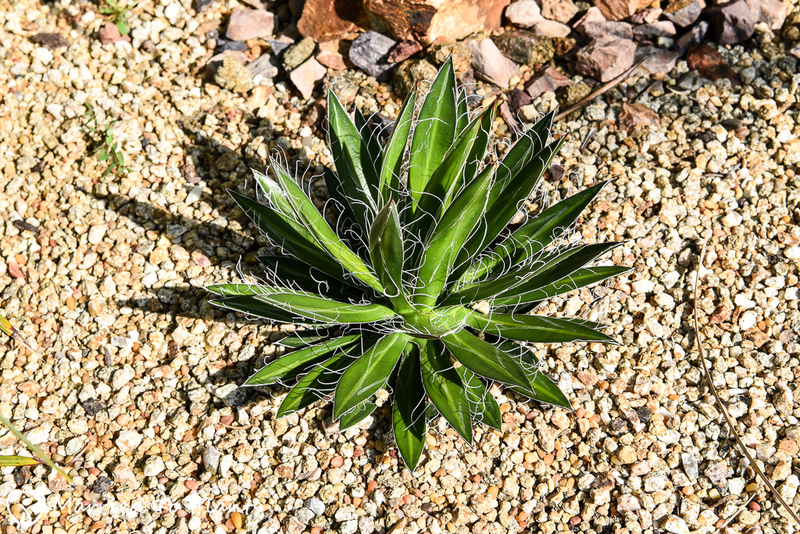 Agave schidigera ‘Black Widow.’ What does the “Black Widow” in the name mean? Nothing. 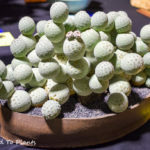 Just another way for sellers to squeeze a few more dollars out of you by giving a plant a cool name. Agave schidigera ‘Shira ito no Ohi’ is a show stopper. 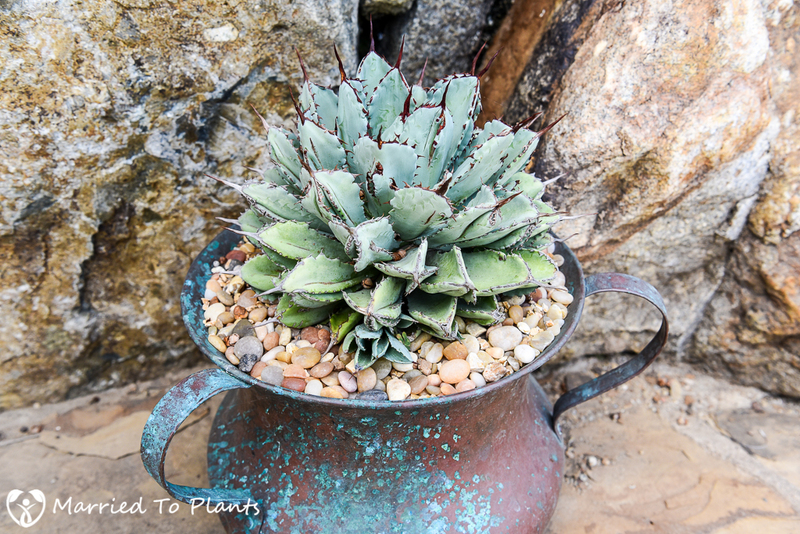 Everyone should have this agave in their collection. Can you see the Brown Anole hiding in the leaves? Sadly, my Agave ‘Sun Glow’ is getting to the flowering age. I need to enjoy the beauty while it lasts. The tragedy of owning agaves. They are monocarpic. Finally: I can’t do an agave post without showing my two favorite agaves in my collection. 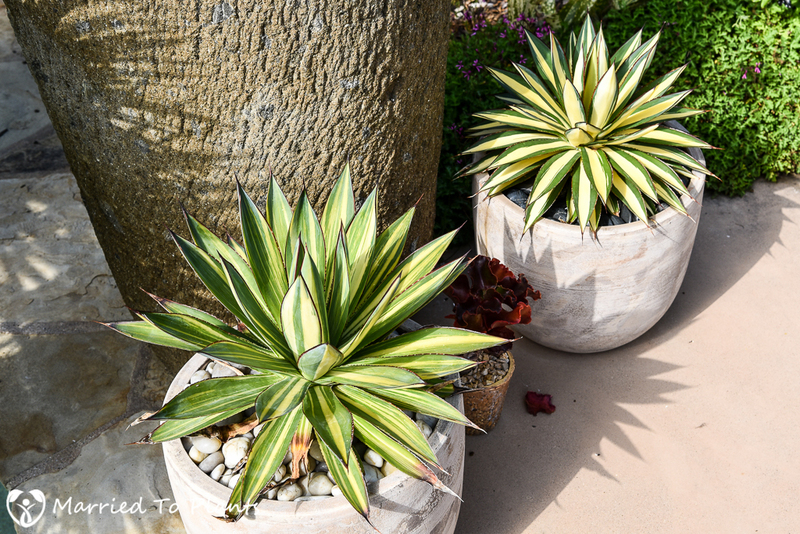 These variegated Agave ‘Blue Glow’ make even the most vocal agave hater swoon. 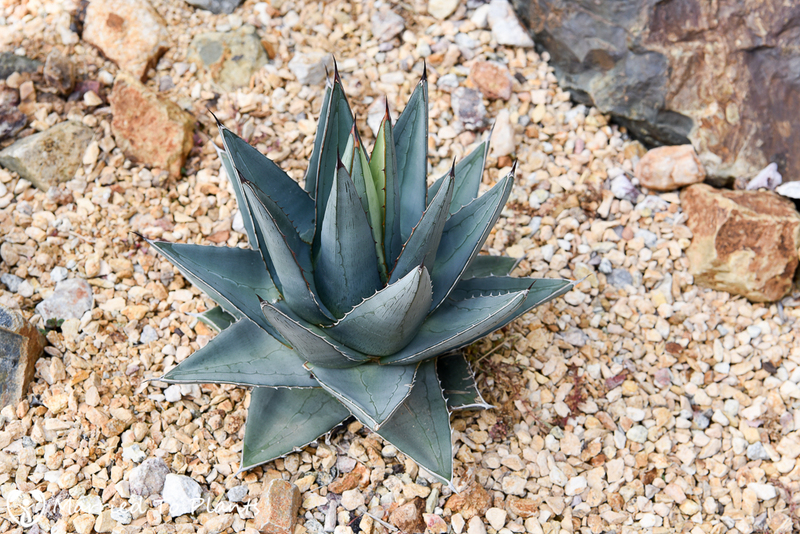 Dwarf agaves are not for everyone. I know many fellow gardeners that won’t plant them or that have even ripped them out of their gardens. They simply grew tired of getting poked. I have certainly had my fair share of spines poking my fingers, hands and legs over the years. 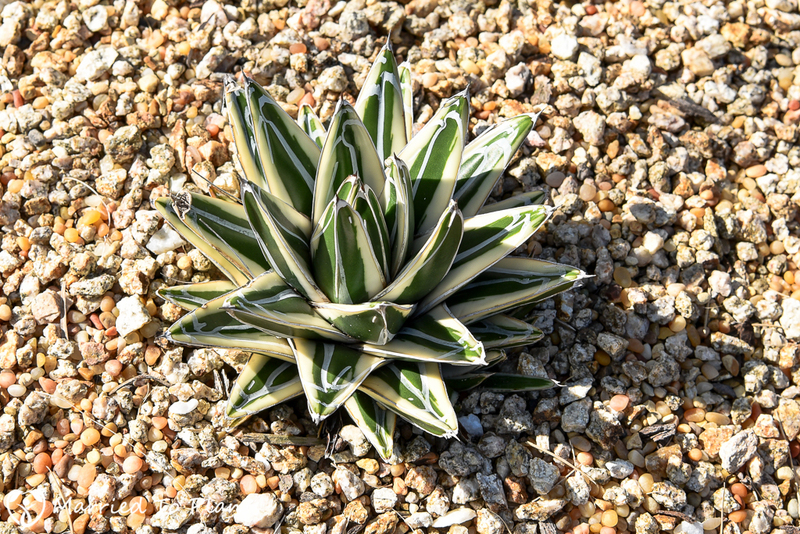 But for me it is a necessary evil to grow something as beautiful as these dwarf agaves. Hello! Wow!! Where did you ger agave utahensis var nevadensis x agave gypsohila?? It’s amazing! It came from a private grower that did the hybridization. Thanks!! Would love to have it, is it difficult to find? Yes. Very, as it isa newer hybrid. Contact me using the contact form for more details. All of these are so gorgeous! 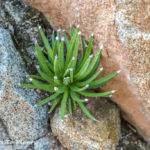 I need an Agave schidigera ‘Shira ito no Ohi’ in my life but have yet to find one even living in SoCal. And you Albomarginata looks great in the ground maybe i get brave eventually an put mine in the ground. Hi Amy, the Shira can be bought online at Plant Delights.